Accra Hearts of Oak Sporting Director, Kim Grant has revealed his desire to turn the Accra Sports Stadium into a fortress where teams will struggle to play against them. “We want to make Accra Sports Stadium a fortress where teams will struggle to play so that we can defeat them” Kim Grant told the Media. 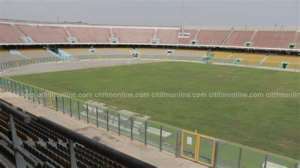 During the renovation of the Accra Sports Stadium last season, Hearts of Oak had to adopt the Cape Coast Sports Stadium as temporary grounds, which according to Grant was a stress for them. “Playing in Accra will take away the stress that supporters went through when they had to travel to Cape Coast. Though I was not the coach by then, I felt it was challenging for the supporters.